Last edited by TommyDee; 01-31-2017 at 08:14 AM. Neat. Perhaps using a lower "tip" size on the meshmixer supports will help you next time. I didn't add the supports. It takes quite some time for water to get under there. I use glue sticks. I like it a lot better than than cube glue. It sticks quite well and comes off easier. Don't get me wrong, I don't mind a good hold while printing! 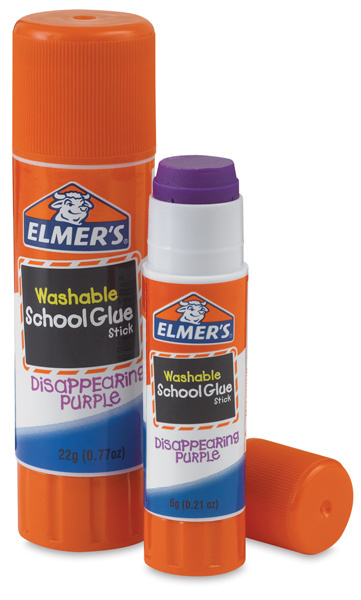 I'm going to try to find that Clear Washable School Glue by Elmer's locally. That is the most promising so far as direct refills. I like the disappearing purple. That way you can tell when it's dry. By the way, it dries much faster than cube glue.